Jessica from Love, Love, Love is one of my newest style crushes and I may be a tad bit jealous of her gorg hair. (Have I mentioned that I get a wild streak and go dark roughly every 3-4 years? Don't worry mother, it's not on the horizon.) I adore every single thing I've seen on her blog! 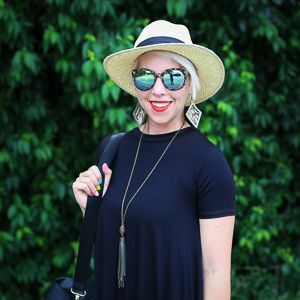 Seriously, take a minute to go through her last 3 or 4 outfits and I pinky-promise you'll be inspired! She's got a real talent for her use of color, from which I could stand to learn some more tips....hello black? Hello lovelies! My name is Jessica and I blog over at Love, Love, Love. While it’s primarily a fashion and style blog, I like to throw in tasty recipe posts, pictures of me and my hubby, and cute DIY projects here and there. If I were to describe my style in 3 words I’d say I’m trendy, thrifty, and super girly. Two pieces of clothing I can’t live without is my black A-line skirt and my pearl necklace. Both are such classic pieces and add structure to a flirty blouse or sweater. I’m always looking for outfit inspiration! Whether it’s at a restaurant or at a store, I’m constantly noticing people’s clothes. They probably think I’m a weird, but I find the best inspiration from people in real life. I also love Pinterest and other fashion blogs. I am absolutely loving florals and emerald pieces for spring. 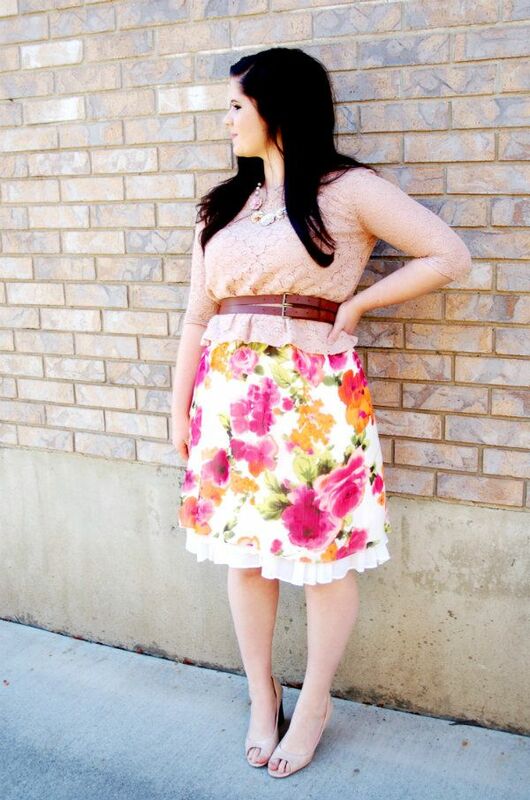 Florals are so fun and they make me feel extra girly. I’ve love pairing them with other patterns and bold colors. When it comes to emerald, an easy way to add it to any outfit is to incorporate it in the details. I love emerald bracelets and necklaces for that very reason. 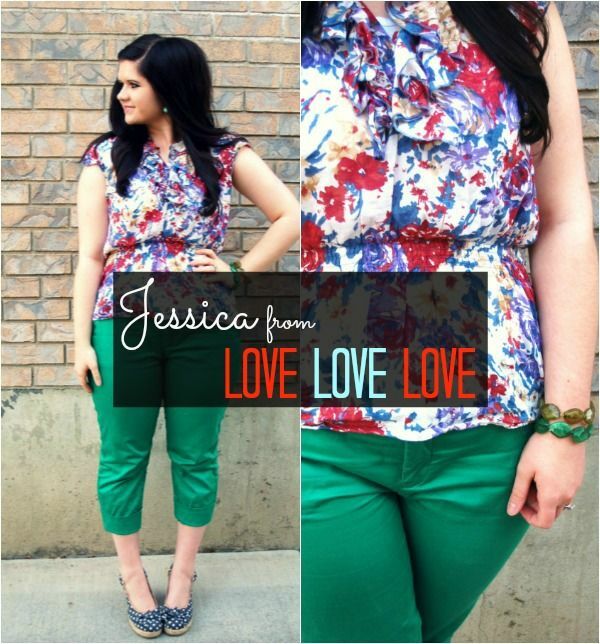 Make sure you give Jessica some blog love!!!! ***Also, if you haven't already entered the Anchor Tee giveaway, you can do so here. There will be two winners!!!! And the entry is easy as pie...just tell me how you'd style it! ***Tomorrow is the BEST OF Style Link Up, where we link up our outfit posts and check out some of the BEST blogger styles from the week! Make sure you come back tomorrow to link up!! !